The Outpatient Services Department received two items based on a request submitted by Manager, Kay Shannon. There are 3 rooms in operation now in the Outpatient Medical Department. When the 3rd room was opened, no beds were available for OPM. We used an old gurney initially, then “snagged” the discarded old wood “1993” birthing bed from the OB department. The date of the bed is known by the dedication plaque on the bed head. 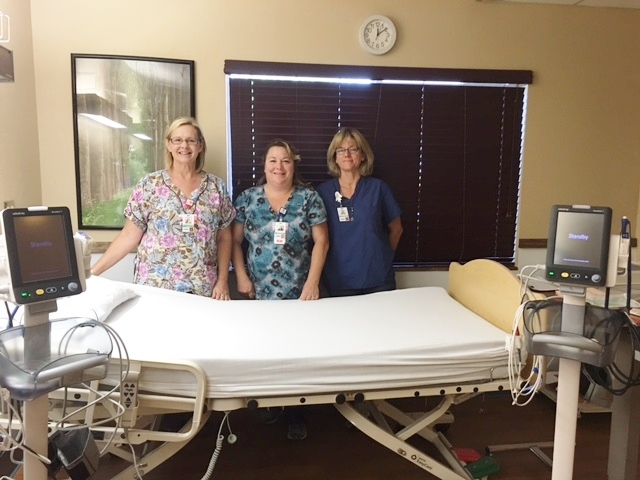 The department now has a new patient bed along with new vital signs monitoring equipment. 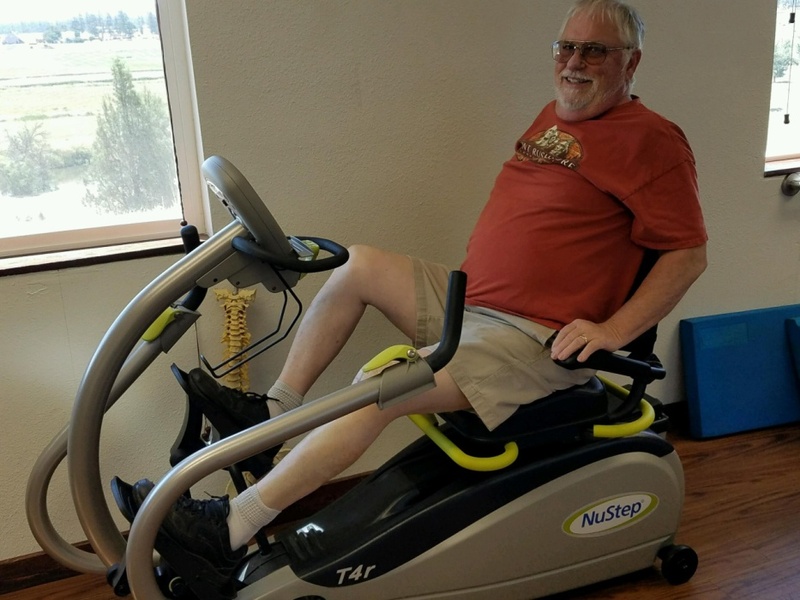 Physical Therapy Manager, Daryl Schneider applied for a NuStep Commercial Cardiovascular Machine to be used in Physical Therapy. The equipment is great for conditioning and cardiovascular training and is easy on the joints. It will be used in Physical Therapy and with treatments for Long Term Care patients and inpatients. The Imaging Department received an ankle-brachial index. This is a quick, noninvasive way to check your risk of peripheral artery disease (PAD). Peripheral artery disease is a condition in which the arteries in your legs or arms are narrowed or blocked. People with peripheral artery disease are at an increased risk of heart attack, stroke, poor circulation and leg pain. The ankle-brachial index test compares your blood pressure measured at your ankle with your blood pressure measured at your arm. A low ankle-brachial index number can indicate narrowing or blockage of the arteries in your legs, increasing your risk of circulatory problems, and possibly causing heart disease or stroke. Other items funded by the Foundation include a Syringe Pump for ER and Acuteand an Upper Body Ergometer for Long Term Care. The Foundation distributes resources to Mayers Memorial Hospital annually with funding received through grant projects, fundraising events, gift shop and thrift store proceeds, and by the generosity of its many donors. These six grant projects were funded by thrift store proceeds generated through committed volunteers. Managers at MMHD have the opportunity to apply for grants to fund various items needed in their departments. MMHD is fortunate to have the Foundation’s support in helping to provide the community with quality services.